The countryside rolls greenly, and the views are expansive - up to the medieval hamlets, ancient churches and the beautiful, varied coastline. You can see why East Sussex is a major destination for Londoners escaping to the coast. 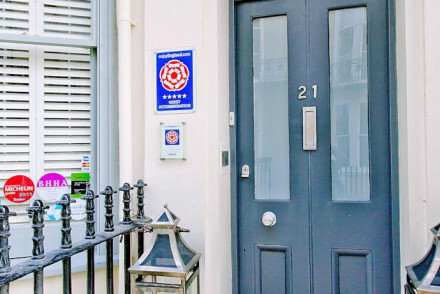 Colourful Brighton, genteel Eastbourne and historic Hastings are the county’s seaside headliners, but they’re just a few of the best places to stay in East Sussex. Battle and Rye don’t have the sea views, but there are plenty of beautiful sights to see, and then there’s the coastal walking and the South Downs Way to be getting on with. Beachy Head, the Seven Sisters and Ashdown Forest are also within the borders of East Sussex. As is the Bluebell Railway, Great Dixter Gardens, Glyndebourne, Lewes, Leeds Castle and Bodiam Castle. So you’ll probably need to consult a map when you’re choosing where to book, to make sure you’re closest to the attractions you’re most interested in - or else select two or three of the best places to stay in East Sussex and travel around this pretty countryside. Buzzy Brighton is packed with independent shops, cafes, bars and restaurants, it’s got a traditional old pier, a pebbly seafront, the beautiful Royal Pavilion, an aquarium and plenty going on. Plus the new addition: the i360 Tower, a moving lookout pod brought to you by the people behind the London Eye. Hastings offers nostalgic charm and the coast. Best known for the battle in 1066, this fashionable Victorian holiday hotspot has reinvented itself as an arty destination for seaside weekenders. Hastings’ now ruined castle, which you reach via funicular, was built by William the Conqueror, and there's an excellent exhibition in the grounds which will supply you with plenty of information and begin to tell you the story of 1066. The opening of the Jerwood Gallery, home of contemporary British art, has hipped the town up. You’ll find out more about 1066 in nearby Battle, the highlight of which is definitely Battle Abbey. On the edge of charming Rye, fringed by dunes, is the long, white sweep of Camber Beach, and the landscape just welcomes strolling, cycling and picnicking. 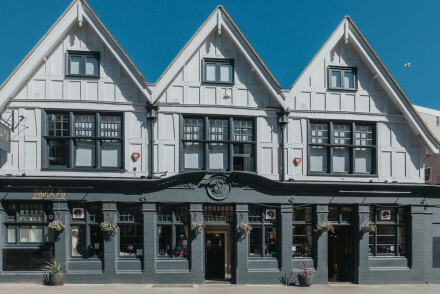 Rye has some great restaurants and cafes, and there are some interesting historical secrets to uncover. And Eastbourne is close to Beachy Head, Pevensey Castle and the South Downs National Park. All of these centres have great options when it comes to choosing the best places to stay in East Sussex, but our Gurus have also come up with some remote country house hotels, perfect for a rural escape if you need one. 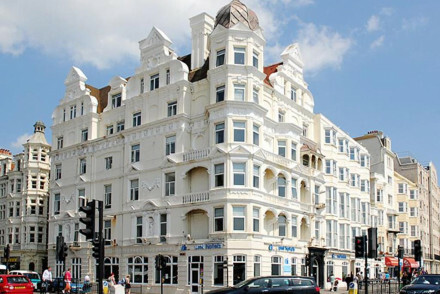 The Zanzibar International Hotel in St. Leonards on Sea, is a stylish, modern refuge right on the seafront. There are just eight rooms, impeccably, and individually, decorated in whites and nudes - some with double spa baths. Plus you'll find a great seafood restaurant and complimentary champagne with your breakfast! 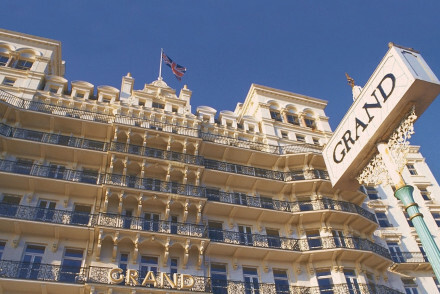 The Grand Hotel in Eastbourne is a contender if your idea of a weekend getaway includes time spent in a luxurious spa. There are also indoor and outdoor pools, an award-winning restaurant, a putting green and a children’s playroom. Pets are welcome too. The Victorian stucco exterior and five stars help make for a memorable stay. The Griffin Inn in Fletching is a very popular village gastropub with 12 comfortable rooms offering expansive views over the peaceful Ouse Valley. Rooms start from just £90 and are very family friendly. 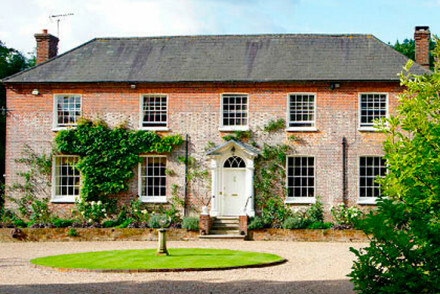 Stone House is an antique-filled country house B&B which has been in the same family since 1495. Just outside the village of Rushlake Green, if you stay in one of the eight rooms you’re offered an excellent dinner, cooking classes, and pheasant shooting in season. 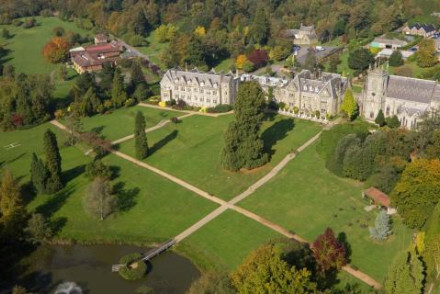 Ashdown Park Hotel is a country house hotel with excellent facilities for the whole family. The hotel has direct access to Ashdown Forest, with acres of parkland, plus a golf course, tennis courts, an award-winning restaurant with forest views and a beautiful spa. Buxted Park Hotel is a Palladian mansion turned 44 room country house hotel close to Uckfield, Wakehurst Place and Hever Castle. The modern, British restaurant has 2 AA Rosettes, and offers cookery classes, and the hotel is set amidst three hundred acres of stunning grounds, which includes three lakes, a deer park and a walled garden. For under a hundred pounds a night you and your loved one can stay at Old Whyly, a listed manor house set amongst charming gardens. There are just three bedrooms, decorated with some beautiful antiques, plus an outdoor pool. 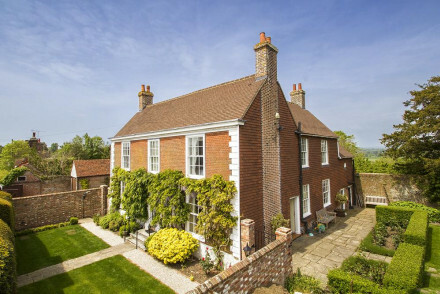 Well located for Glyndebourne, there’s also a heated pool and tennis courts. 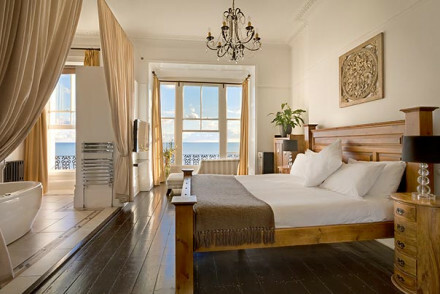 Probably the best-known hotel in Brighton on our list is drakes. Occupying a great position overlooking the pier this boutique property has a 24 hour bar, decent restaurant and freestanding baths in some rooms. Well designed rooms with huge beds. 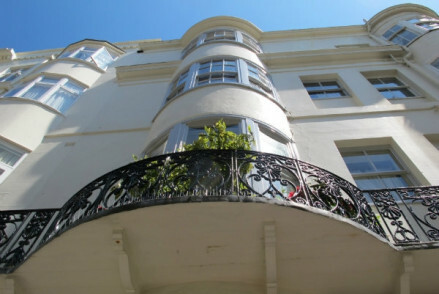 Brighton’s original boutique hotel, Blanch House, in Kemp Town, has individually designed rooms including the Snowstorm, which houses a collection of snow globes. Home made biscuits on arrival are a popular touch. The feng shui aware Myhotel is a decked out with karmic artwork and futuristic furniture and has an informal deli which serves richly delicious ice cream as well as a pleasant restaurant. 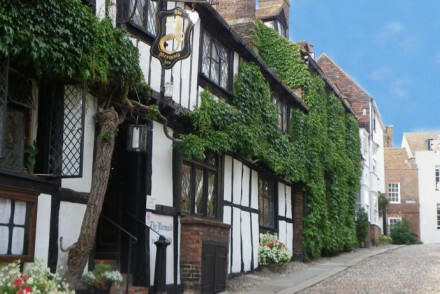 The Mermaid Inn is an historic inn in the centre of Rye, dating back to the 13th century. There are 31 rooms, oozing with charm and original features: think carved four-poster beds, sloping, beamed ceilings and a vast fireplace in the bar. The restaurant has 2 AA Rosettes. 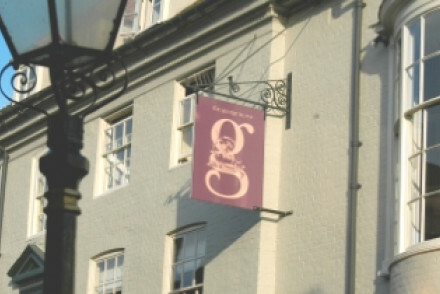 The George in Rye is historic, but very newly refurbished, so now you can expect all the modern, stylish trims inside a charming Georgian building. Each room is individual, and the atmosphere is relaxed. Close to the South Downs, Wakehurst Place, and Gatwick Airport, the Old House Inn has been converted from a farmhouse, and has six spacious, quirky rooms. The dining has an AA Rosette award and a full English breakfast is included in the room rate. 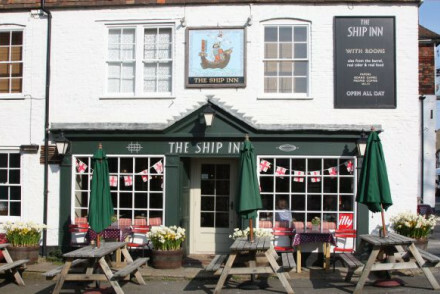 The Ship Inn in Rye, is a laid back pub with a Michelin recommendation and ten simple rooms. It’s a traditional pub with all the best kind of details: exposed beams, wooden floors and solid, but weathered, furniture. 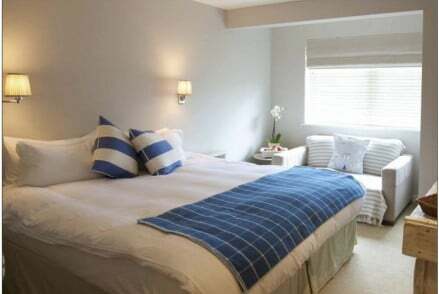 Rooms start from £110 per night including fabulous breakfast. 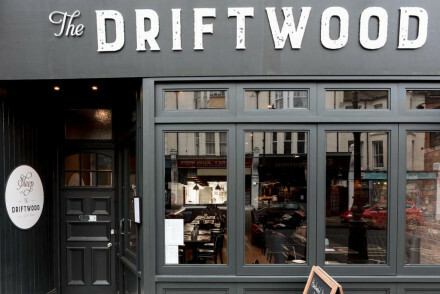 The Printworks occupies a fabulous Victorian building in Hastings, once home to the local newspaper, and it's been decked out very stylishly by the owners. There are only two rooms, but both of them are packed with detail and original-features-loveliness. 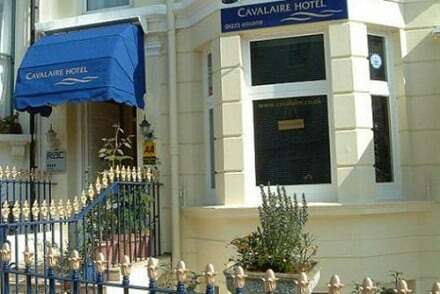 Rooms start from just £100 per night. 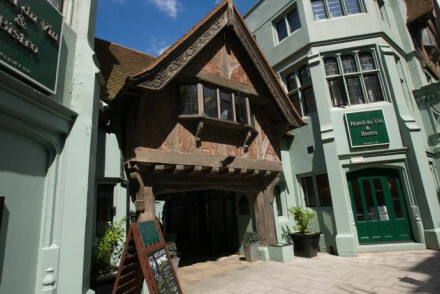 Swan House occupies an even older building in the heart of medieval Hastings - built in the 15th Century, this was originally the local bakery. Part timbered, this four room B&B has been tastefully decorated to make the most of the wonderful original features - including an old pulley used to move bags of flour. 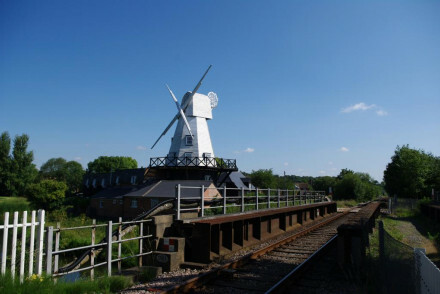 The Rye Windmill B&B has been converted from a Grade II listed windmill. Importantly, only two of the ten rooms are in the windmill itself, and these are the ones to book. You’re right next to the river and within a short walking distance of Rye. The decor is simple and the breakfasts generous. Jeake’s House is a quirky, old fashioned and slightly theatrical B&B in the centre of characterful Rye. The 11 bedrooms and public spaces have some great antiques, including beautiful four-poster beds, and they do a truly epic breakfast. 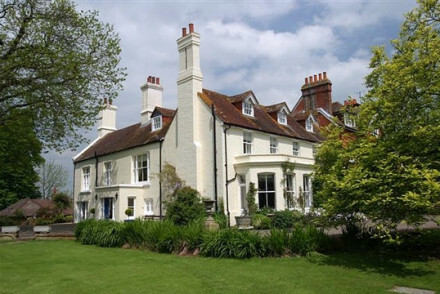 The Old Rectory, Hastings is a great choice for walkers and history buffs. 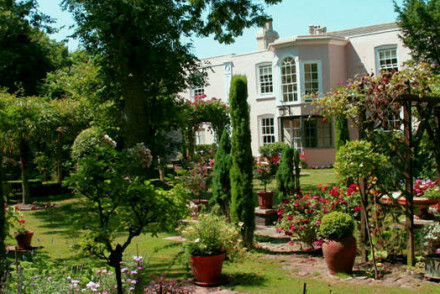 The eight elegant rooms are in an 18th century building, complete with sitting rooms and beautiful gardens. The fresh cooked breakfasts include locally caught fish. 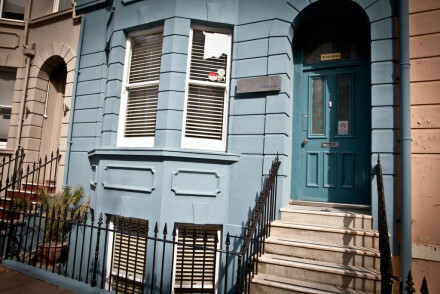 Una in Brighton is a B&B with 19 rooms all named after rivers. Excellent breakfasts and a bar where you can plan or reflect on dinner. Hastings House is right on the promenade in Hastings, a Victorian stucco charmer on the outside, turned funky B&B on the inside. 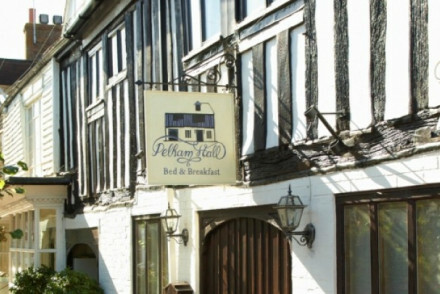 A romantic option for under a hundred pounds a night is Pelham Hall, a gorgeous little B&B in picturesque Burwash in the High Weald Area of Outstanding Natural Beauty. There are just three elegant bedrooms, decorated with plenty of character, plus a fantastic breakfast. You’re well positioned for National Trust properties, local market towns and beautiful scenery. Ocklynge Manor is a picture perfect 18th century Georgian charmer in a beautiful walled garden. The three bright bedrooms make the most of the views and there are delicious breakfasts with home-made bread and marmalade each morning. And all starting from around £100 per night. Gatwick Airport is your closest airport, but Heathrow is quite convenient as well. Brighton has its own airport, which is connected to other UK destinations. You can also arrive in East Sussex by sea, docking at Newhaven - the ferries here cross from Dieppe, France. The county is also easily accessible by train from elsewhere in the UK. If you want to hire a car - which we highly recommend if you’re staying in East Sussex, there's a lot to see - we suggest you visit our online partner, Rentalcars. This is the UK, so expect changeable weather whatever the season. East Sussex is popular in summer, of course, but it’s also beautiful in spring and autumn - if you don’t mind a chill and a bit of a shower or two. Winter is wonderful if you like things to be ‘bracing’. or consider the Most Romantic Hotels in East Sussex? or The Best Hotels with Hot Tubs in East Sussex? 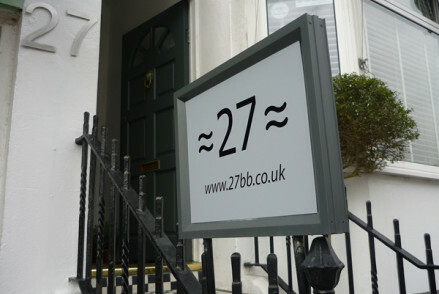 An excellent, eco-friendly guesthouse in the East Sussex town of Hastings. The rooms are spacious and elegantly appointed with stylish furnishings and tasteful artwork. Indulge in a range of spa treatments including reiki, deep tissue massage, Thai hot compresses and reflexology. A seaside charmer. Local exploring - Just a ten minute walk from the beach, it's perfect for exploring Hastings and the surrounding East Sussex countryside. Total relaxation - The ideal relaxing country escape with comfortable rooms and a hearty breakfast as well as massages, shiatsu and reiki! Sights nearby - History enthusiasts will enjoy visiting the nearby site of Englands most famous battle. Birdwatching - East Sussex is a great area for watching seabirds. 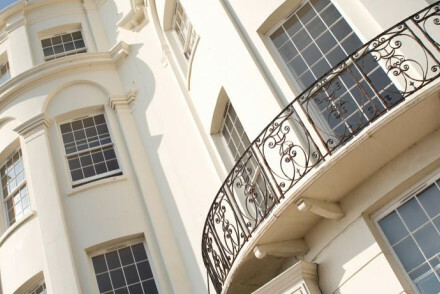 Set in a beautiful Georgian building, Boreham House is a charming B&B. Featuring delightful rooms and a walled garden, it's a great launchpad for exploring the Sussex south coast. Sights nearby - Visit the nearby Herstmonceux Castle and Battle Abbey, two significant Norman landmarks. Great walks - Go walking along the magnificent Seven Sisters coastline. Birdwatching - The nearby Sussex cliffs are great for birdwatching. 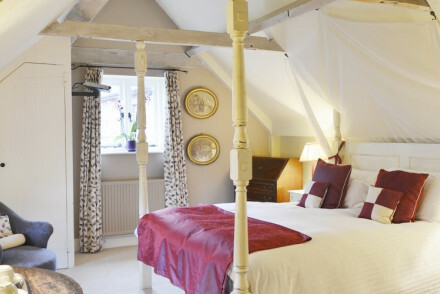 A characterful Inn set in a beautiful area of East Sussex. Individually styled rooms are filled with antiques, artworks and playful slogans. The best feature a free standing copper bath. The atmospheric bar, very popular with locals, serves fabulous pub classics. 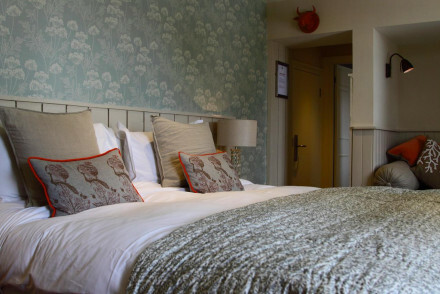 Country Escape - An utterly charming Inn set in the High Weald Area of Outstanding Natural Beauty. Sights nearby - Make a trip to the stunning Sissinghurst Castle Gardens. A gorgeous little B&B in picturesque Burwash. 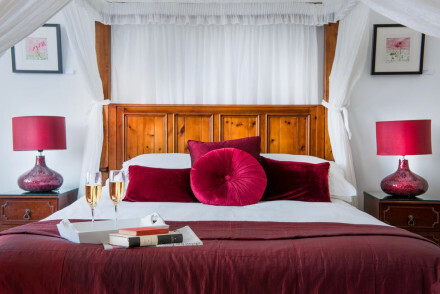 Elegant romantic bedrooms impeccably decorated with lots of character. Fantastic breakfasts, friendly hosts, and plenty of local exploring. Perfect for a romantic getaway. Sights nearby - East Sussex boasts National Trust properties, world-famous gardens, important historic monuments from the Norman Conquest. Local markets - Rhye, Lewes, Tunbridge Wells nearby for antique shopping. Great walks - Along the North and South downs. 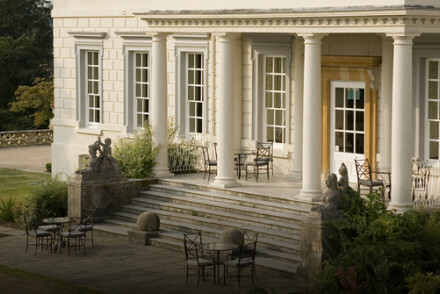 Palladian mansion, now a luxury country house hotel close to Uckfield. Ideal for a relaxing country getaway and close to sights such as Hever Castle and Wakehurst Gardens. 2 AA Rosette standard modern British cuisine and cookery classes too. 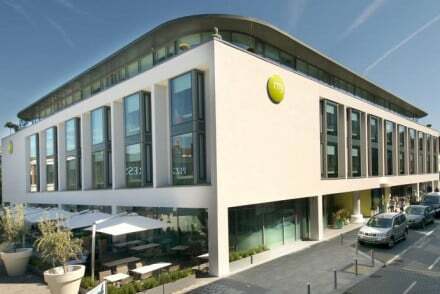 A small boutique hotel and restaurant in the seaside town of Bexhill. 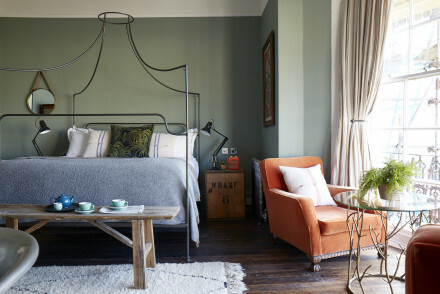 Chic rooms feature exposed brick walls, crisp white linen and bright pops of colour coming from the soft furnishings. A fantastic restaurant serves an Austrian-fusion menu which has become a hit with the locals. Local exploring - A chic hotel minutes from the beach and a number of cultural sights. Sights nearby - Visit Bexhill's main draw, the Art Deco De La Warr Pavilion. 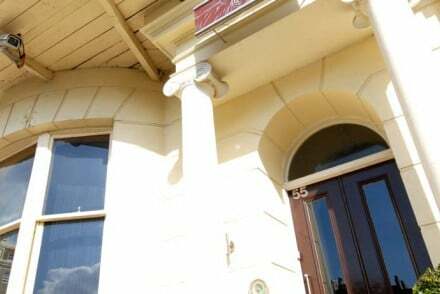 Newly renovated victorian townhouse B&B in the centre of town. Modern bedrooms with vivid colours. Breakfast included and snacks on demand. 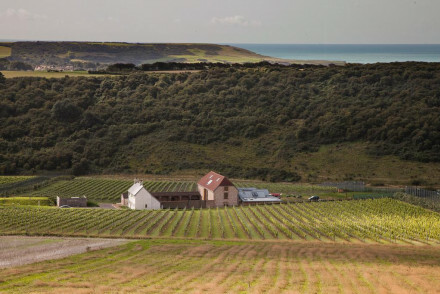 A contemporary retreat situated on a stunning South Downs vineyard. The handful of rooms vary in size but all are cleanly designed with exposed stone sitting against white washed walls, cast iron beds and crisp white linen. With plenty of activities in the area this is the perfect rural escape. Country Escape - Expect all you could want from a country escape including great walks, cosy accomodation and a warm welcome. 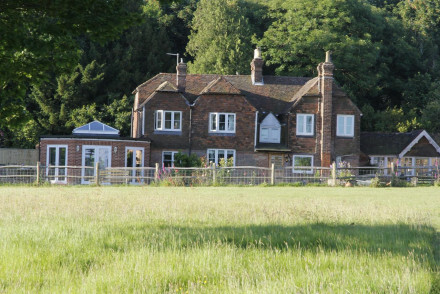 Great walks - The property lies just a short stroll from the beautiful South Downs Way. This picture perfect 18th Century Georgian house sits in a glorious walled garden which maintains its beauty throughout the seasons. 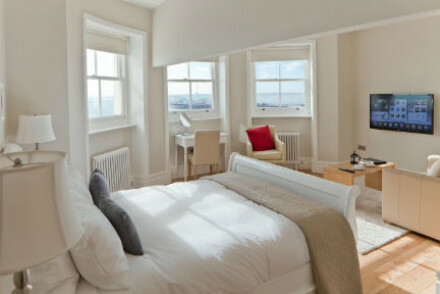 The bedrooms are bright and lovely sash windows make the most of the views. Delicious breakfasts with hand-made bread and marmalade can be enjoyed each morning. Elegant guest rooms provided in an eighteenth-century building. 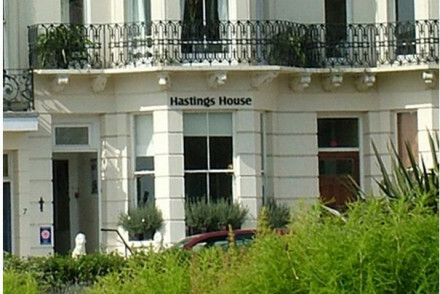 Guests can enjoy sitting rooms, beautiful gardens and the nearby town of Hastings. Freshly cooked breakfasts on offer, including locally caught fish and free-range eggs. 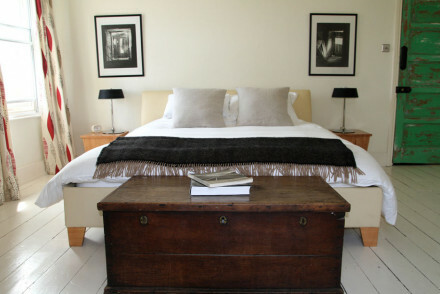 A chic rural hideaway in a charming area of East Sussex. 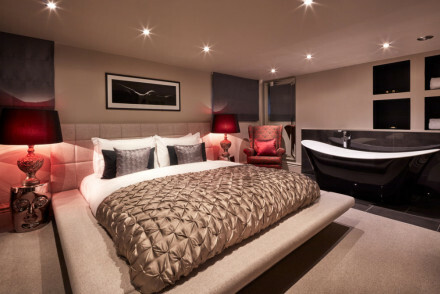 Contemporary rooms feature parquet flooring, dark wooden furniture and spacious bathrooms with walk-in rain showers. 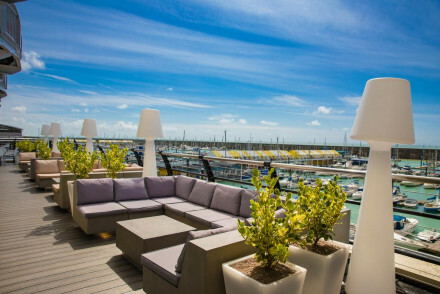 A stylish rooftop lounge is the perfect spot to sip an evening drink and indulgent breakfasts are served. Fabulous. Total relaxation - A small, yet luxurious, country property set in tranquil rural surrounds. Great walks - Situated right on the South Downs National Park, there are glorious walks starting straight from the house. Sights nearby - Visit the historic castle town of Lewes. Country Escape - Close to London find a luxury country house complete with excellent food, roaring fires and fabulous walks. Great walks - Find miles of walking trails through Cuckmere and the glorious South Downs. Contemporary and stylish romantic refuge on the seafront. Impeccably decorated in whites and nudes, large light rooms, sea views. Fish restaurant. Restrictions on children - No children under 5 years. In the heart of the High Weald, Bewl Rookery is a charming B&B. 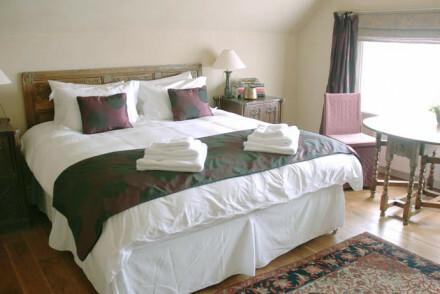 Set in a 16th century house, the elegant rooms are comfortable and spacious. 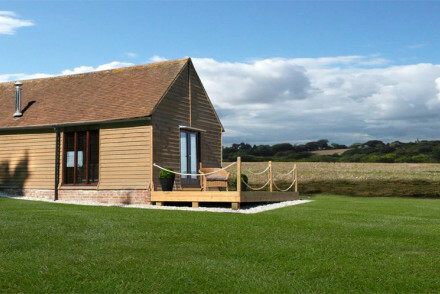 Perfect for a relaxing break in rural Sussex. Great walks - The High Weald is full of lovely walking routes. Sights nearby - Two miles from Scotney Castle Garden and Estate. Former 15th century bakery. 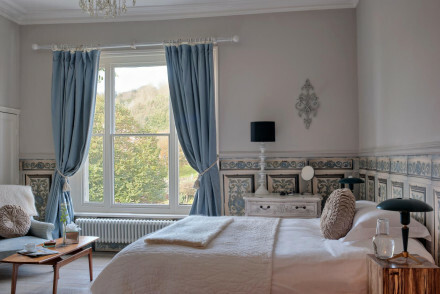 Stylish B&B in the heart of mediaeval Hastings. 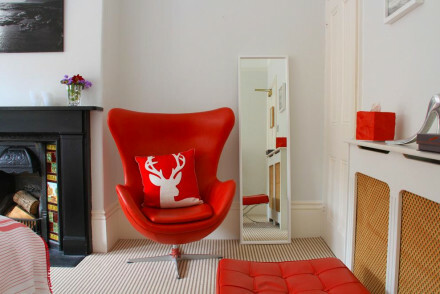 Tasteful interiors - original features complement contemporary designs. Guest lounge, breakfast room, courtyard. 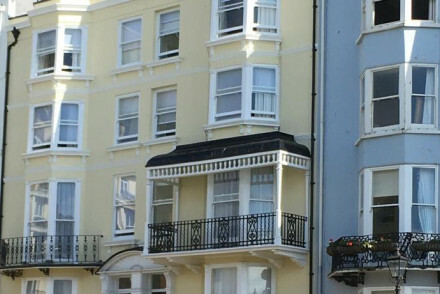 The Laindons is located on Hastings High Street, just a short walk from the coast. 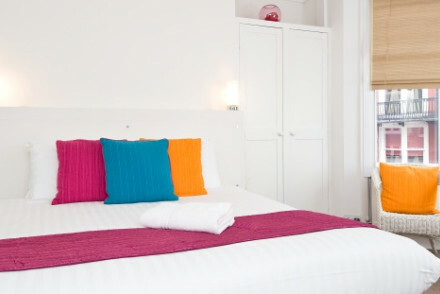 Offers chic, boutique accommodation in light hues with the odd splash of colour. Tuck into splendid breakfasts in the conservatory. An unassuming yet charming coastal break! 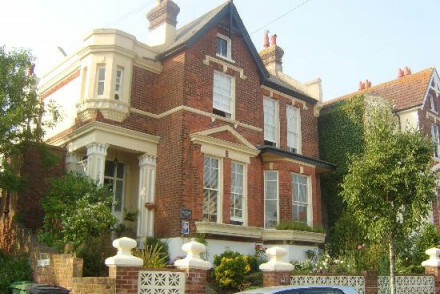 A bijou property located on a residential road in the coastal market town of Hastings. Its contemporary decor and clean lines makes this hotel a refreshing place to stay. This manager owned property has a much talked about and locally sourced breakfast menu. A perfect coastal weekend break! 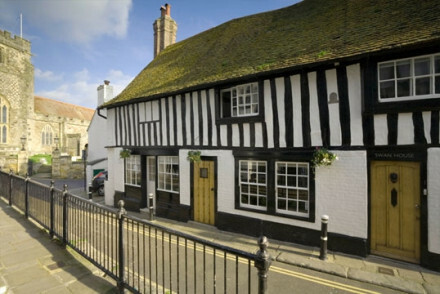 A smart 16th century pub with rooms, The Bull has long been a firm favourite for locals and travellers alike. 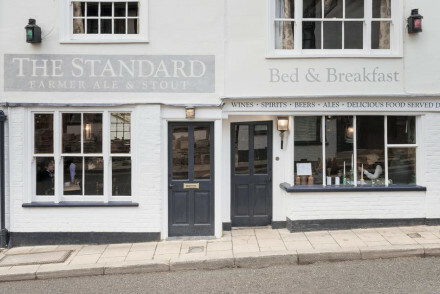 Lively and vibrant, it features six chic bedrooms, an excellent restaurant and beer from their own brewery. 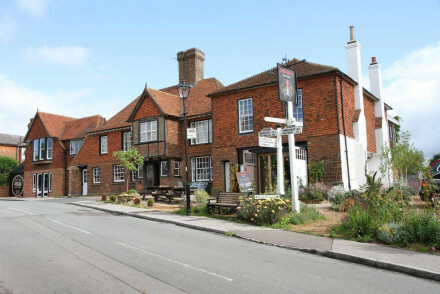 The Bull is a great option for people looking to explore East Sussex. Local exploring - A great launchpad from which to explore East Sussex including nearby Brighton. Great walks - Drive to the nearby coastline and go for lovely walks along the beaches and headlands. Sights nearby - Go into Brighton for the day and explore Britain's most famous seaside town. 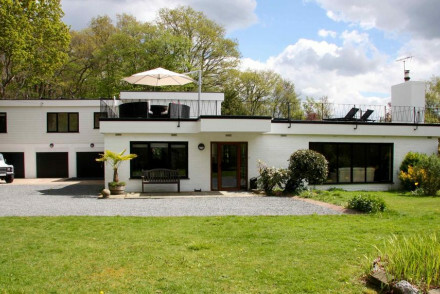 A contemporary studio with far stretching views across the picturesque Sussex countryside. The studio is bright and airy with light wood and accents of red. A large secluded terrace provides the perfect spot for an evening tipple and indulgent breakfasts are taken in the owners thatched cottage. Hideaway - A contemporary studio in a secluded rural setting. Ideal for getting away from it all. Sights nearby - Visit Bodiam Castle a true fairytale castle and one of Britain's most romantic and picturesque. Great walks - Take long walks along Camber Sands, a five mile stretch of beach. 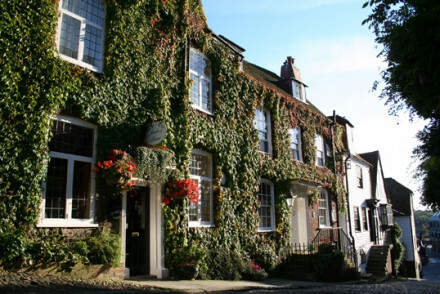 Located in the heart of 1066 country this B&B provides guests with a traditional Sussex stay. Set amidst three acres of manicured grounds, attention to detail continue within. Huge, plushly covered beds centre antique adorned rooms. Breakfast is fresh and locally sourced and dinner by arrangement. Sights nearby - The historic sight of Hastings Castle, where the infamous battle was fought, is just a short drive away. Local markets - Open every Saturday, Hasting's Farmer's Market is popular amongst tourists and locals alike. Great walks - Beckley Walk Beckley walk takes flaneurs through the heart of 1066 country. 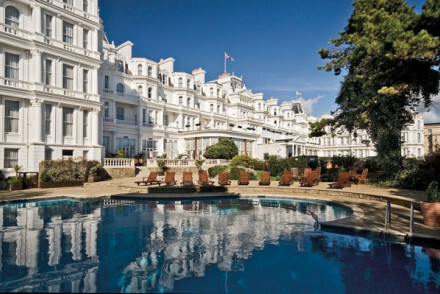 Eastbourne's 'White Palace' - a luxurious English seaside hotel. A host of facilities - spa, indoor and outdoor pools, award-winning restaurant, children's playroom.